During his three seasons with the Utah Symphony, David has conducted many education, Pops, outreach, and tour concerts. David attended the Tanglewood Music Center as a conducting fellow in 1999, followed by conducting studies under Larry Rachleff at the prestigious Shepherd School of Music at Rice University. After a year of conducting fellowship at the New World Symphony, David was chosen as the Karajan Fellow in 2003 at the renowned Salzburg Festival, where he worked with the Vienna Philharmonic. The same year, Leonard Slatkin chose David to participate in the National Conducting Institute, where he debuted with the National Symphony at the John F. Kennedy Center. David served as the Resident Conductor of the San Antonio Symphony from 2004-2007. In his last season there, David held the Bruno Walter Conductor Chair. David earned his Bachelor’s and Master’s Degrees in piano performance at the Oberlin Conservatory and the Peabody Institute, respectively. 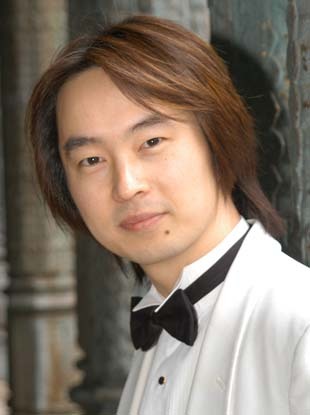 He received his second Master of Music Degree in conducting at the Shepherd School of Music at Rice University.